Experience the allure and exuberance of iconic Chinese folk songs from the famous musical film Liu Sanjie in this special concert by the Singapore Chinese Orchestra. Even after half a century, several of the songs from the film are still remembered and recognised by many today. Songs of Liu Sanjie – A Musical Film in Concert is led by Cultural Medallion recipient and Music Director Tsung Yeh and directed by Goh Boon Teck, with music adaptation by Cultural Medallion recipient Law Wai Lun. The evening features renowned Chinese soprano Wang Qing Shuang who portrays the main character Liu Sanjie, together with other vocalists from China and Singapore including Jonathan Charles Tay (as Ah Niu), William Lim (as Old Fisherman), Peng Siran (as Zhou Mei), Alvin Chiam (as Mo Huai Ren), Jeremy Koh, Raymond Lee and Alvin Tan (as Scholar) re-enacting classic songs and scenes from the film, with the 40-member Vocal Associates Festival Chorus. A love story set amongst a conflict between rich and poor, the groundbreaking 1961 musical film popularised Chinese folk songs through the Chinese diaspora, relating the story of a legendary folk singer from the Zhuang minority people in the Guangxi Zhuang Autonomous Region, set against the region’s scenic beauty. 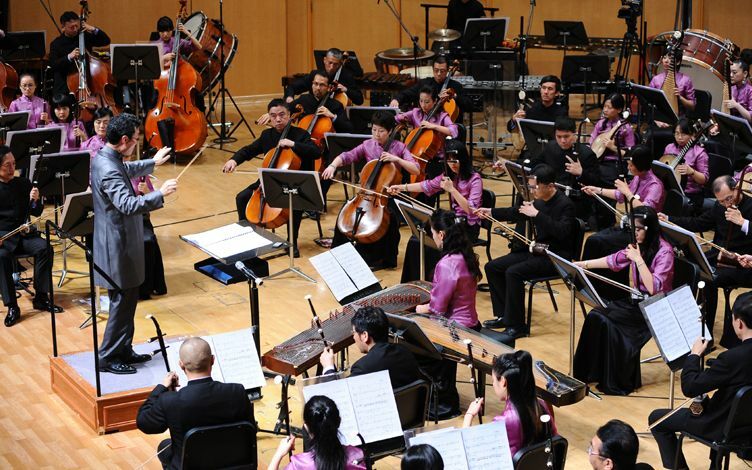 Co-produced by Esplanade – Theatres on the Bay and Singapore Chinese Orchestra.